The Bolivian foreign minister has firmly rejected Washington's hegemonic ambitions as manifested in Donald Trump’s latest threat of a military intervention in Venezuela, while underlining Caracas' right to self-determination without outside meddling. Speaking to RT in Moscow following his meeting with Russian foreign minister Sergey Lavrov, Fernando Huanacuni Mamani emphasized that any foreign meddling in Venezuela's domestic affairs is unacceptable. 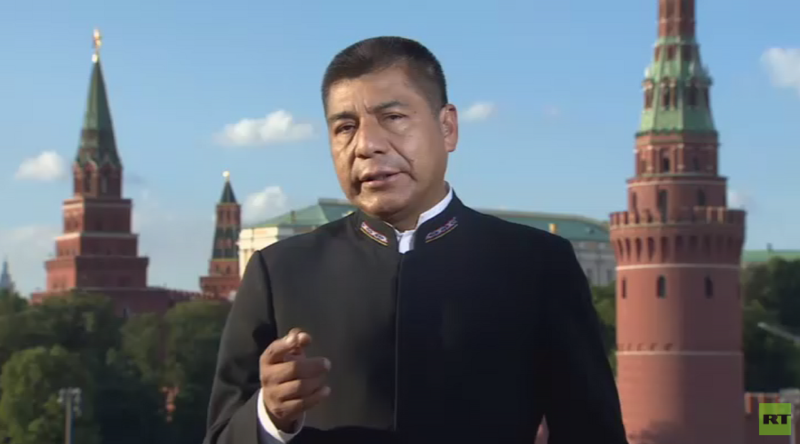 “Our countries, Russia and Bolivia, also agree that we firmly reject any kind of meddling with or encroachment on the sovereignty of Venezuela. If we want to help, we should respect the democratic process launched in Venezuela, it’s very important to preserve harmony in the region,” Mamani said. Venezuela has been gripped by violent street protests since April which has already led to over 100 deaths. Amid the ongoing crisis in the South American country, the Trump administration blacklisted a number of senior Venezuelan officials, including president Nicolas Maduro, freezing their assets in the US and banning American citizens from doing business with them. 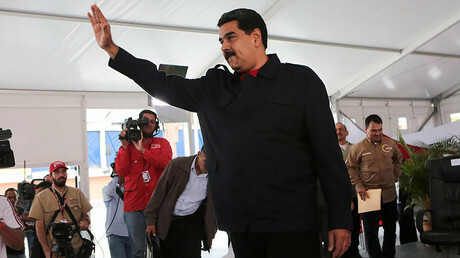 The sanctions were imposed following last month’s Constituent Assembly elections which the US branded “illegitimate.” According to Caracas, approximately 8 million people voted for the 545 candidates who will now draft a new constitution for the country. 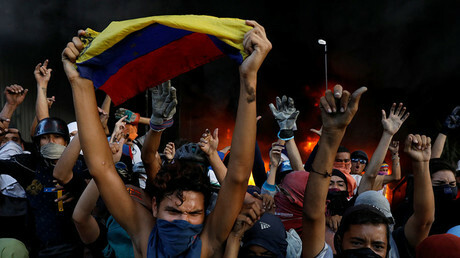 On Friday, Trump called Maduro a “dictator” and blamed him for the worsening humanitarian situation in the country, further escalating the tensions between the two nations. To put an end to the crisis, a “military operation, a military option, is certainly something we could pursue,” Trump added. The Bolivian foreign minister, whose country is closely allied with Venezuela, said negotiations are the only way to achieve peace in the oil-rich country Latin American country. “Dialogue is the only way, allowing to resolve the crucial domestic issues. Venezuela elected the National Constituent Assembly, it is an excellent opportunity to reach a consensus and discuss the perspectives of the further development for Venezuela,” Mamani said, adding that Bolivia has vast experience in solving problems through dialogue. The Constituent Assembly, the diplomat noted, is the “best format” to have a nationwide dialogue which encompasses all levels of society. “It’s a format created democratically as a tool for decision-making, conducting debates within the framework of the constitution and for devising constitutional solutions,” Mamani said. Emphasizing that foreign intervention is an “inefficient way” to achieve stability in any state, Mamani called on Washington to abandon their hegemonic ambitions and recognize the existence of a multipolar world where nations can determine their own future. “The hegemony of the Western world and the [US] empire has come to an end,” Mamani told RT.